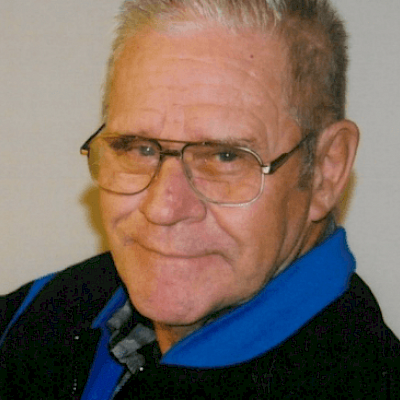 Lawrence M. Ledbeter, age 85, of Hayward, WI passed away on Wednesday, March 20, 2019 at Hayward Health Services. Lawrence Marvin Ledbeter was born September 28, 1933 in Hayward, WI the son of Lester and Clara (Gehrts) Ledbeter. He graduated from Hayward High School and then went to Chicago to work for Affiliated Screw Products. He was joined in marriage to Janis Meier on March 6, 1954 in Crown Point. IN. They came back to Hayward where Lawrence worked for Hayward Feed and Fuel and also played baseball for the Stanberry Giants. He joined the U.S. Army and was honorably discharged. After his time in the Army, he came back to Hayward and worked again for Hayward Feed and Fuel. He then worked for Phil Thompson Logging for many years. During his retirement years he worked part time as a security guard at Louisiana-Pacific. He was a member of the Stinnett Town Board and served as a Supervisor and Chairmen on different terms. Lawrence enjoyed fishing and any kind of hunting. He was also a member of Hayward Wesleyan Church. Lawrence is survived by his wife of 64 years, Janis; his children, Gary (Linda) Ledbeter of Plymouth, WI, Sheila (Tim) Seehuetter of Hayward, WI, and Clay Ledbeter of Hayward, WI; grandchildren, Josh (Renee) Ledbeter, Phil (Dara) Ledbeter, Brodie (Keri) Ledbeter, Tember Seehuetter, Jessica (Andy) Falk; great grandchildren, Dylan, Alexis, Madison, Caleb, Ianna, Kezra, Nessa, Kellie, Logan, Levi and Raegan; one brother Dean (Pat) Ledbeter; one sister Noritta (Rich) Ritten; sisters-in-law, Lorraine Ledbeter and Dolores Ledbeter; and many nieces and nephews. He was preceded in death by his parents; four brothers, Lester, Lloyd, Budd and Jerald; two sisters, Myrl Taylor and Lorraine Houy; and a great granddaughter MaKayla. A funeral service will be held for Lawrence at 11:00 a.m. on Monday, March 25th, at the Hayward Funeral Home with Pastor Tim Young officiating. Pastor Ryan Wilson will be providing music. Visitation will be held from 10:00 to 11:00 a.m. on Monday at the funeral home. Interment will be in the Greenwood Cemetery in Hayward. Military rites will be accorded by the State of Wisconsin Military Funeral Honors Program and the Hayward VFW Post #7233.